This project had one purpose: to make us think about systems on a large scale and their consequences. To make it more interesting, instead of analyzing something from present day, we analyzed a future system 15-years from now and how we think the system will evolve based on our research. Our project analyzed the future of food systems; we think that due to global warming and overpopulation, we will eventually run out of food at this rate. Farming will no longer be possible and genetically modified food will increase in order to satisfy the demand for food in the world. However, the demand for fresh food among people will still exist. Therefore, we researched systems that will evolve in order to supply this demand. 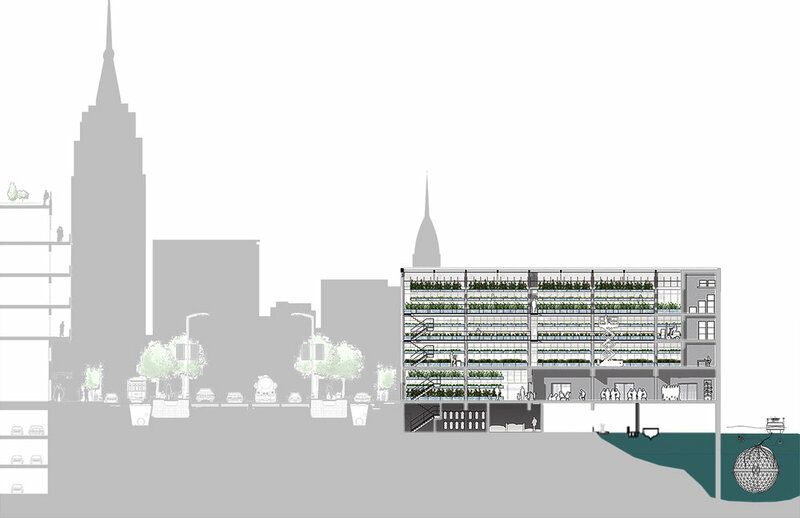 Many scientists are starting to test out vertical farming, which is becoming increasingly successful. In just one square block and thirty floors up, we can feed up to 10,000 people. This type of farming is fresh, natural and reliable. Using the advanced technology from 2035, we predict that smart drones and robots will be able to safely deliver and distribute the fresh goods.